We’ve looked at the best ways to be confident you’re getting your message across, without sounding like a PR parrot. As this year’s election campaigning showed, even the highly trained get media interviews wrong sometimes, especially as audiences are now more discerning and cynical than ever. The public rightly dislikes obvious ‘spin’ or ‘fluff’, and can see through over-rehearsed lines. Traditional media interview rules should be followed in a considered fashion, but should not become a hindrance or, worse, backfire. Prepare your key points. Identify a couple of points you want the journalist to take away from the interview and reduce them to simple sentences. Think about how someone listening would summarise what you said. By all means learn these points by heart, but try not to recite them word for word, repeatedly. You’ll sound fake and unengaged. 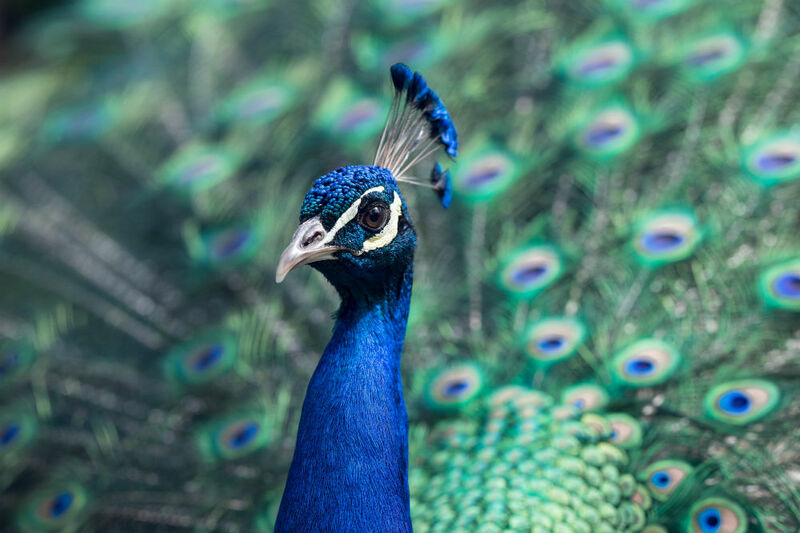 Think peacock (sharing your message with flair and personality) not parrot. Line up your supporting cast. Prepare facts and figures, case studies and anecdotes to support your messages. Check you’ve got permission from your case studies. You may be quizzed on your facts or stories, so aim to know them so well that the pressure of the interview won’t chase them from your brain. Again, injecting personality and passion will stop you turning into a PR parrot. Thinking about the people behind the stats will help. Excite imagination. Giving an interview is essentially telling a story, so good storytelling techniques are essential. Think about ways of talking about the subject to capture the imagination of the journalist and the audience. Metaphors and verbal visuals (descriptions that create pictures in the mind) are a memorable way of getting your point across. Avoid jargon and technical terms. When you’re an expert on a particular subject this is easier said than done, but jargon can be really off-putting to a lay audience. A good way to check how comprehensive you are is to test out some answers on someone who knows nothing about the topic. Reword responses when their face develops a blank look. Repeat until they nod understandingly. Bridging not shoehorning. If you get asked a restrictive question, or one you don’t want to answer (the naughtiest thing you’ve ever done, perhaps), take the conversation back by bridging to a broad answer that is relevant and links to one of your key points. This doesn’t mean dodging the question entirely because the interviewer and audience will be able to tell. Start by acknowledging the question directly, and then move on. And remember, you do not have to answer unfair or unreasonable questions. Remain unflustered and confident and return the conversation to what’s important. Fight fake facts. Don’t be afraid to correct mistakes and don’t accept facts or figures you’re not aware of or are uncomfortable with. It’s fine to politely point to a mistake, or a dodgy interpretation, even if that means interrupting the journalist. Keep a calm and polite tone, but tackle errors or misinterpretations head on. Personality wins the day. Finally, as we hope we’ve made clear throughout, personality is what turns a good interview into a compelling one! The way to help people understand why they should care as much as you do is to show you care, with clear arguments and memorable examples. Be the peacock, not the parrot. To download the Amazon PR intro to media interviews visit our website. For a range of other free guides on PR and media relations, visit www.amazonpr.co.uk/resources. Louisa is an account executive at Amazon PR, an agency specialising in work with charities and public sector bodies, where she has worked on media campaigns for clients including the Holocaust Memorial Day Trust, the Motor Neurone Disease Association and Birth Companions.